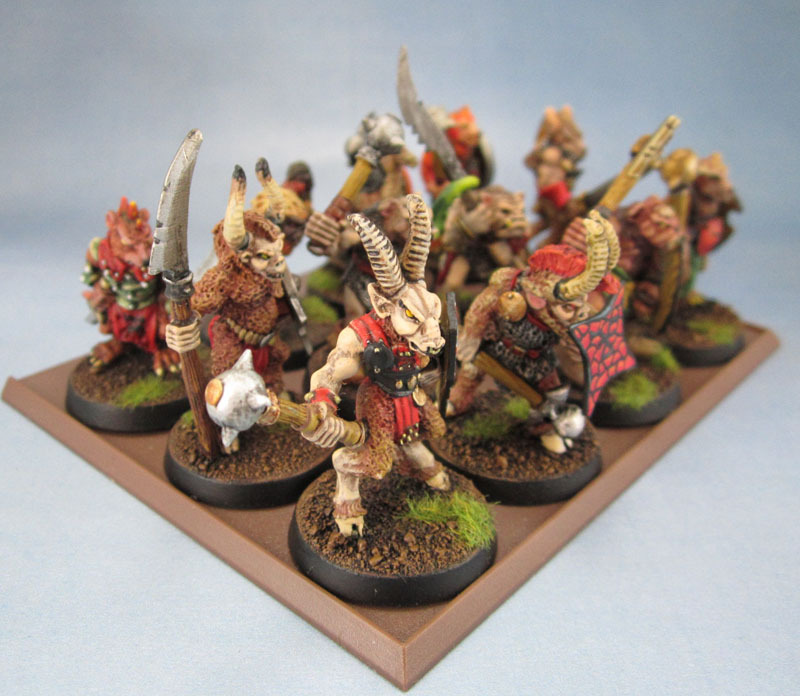 Slaves to Darkness | Azazel's Bitz Box. 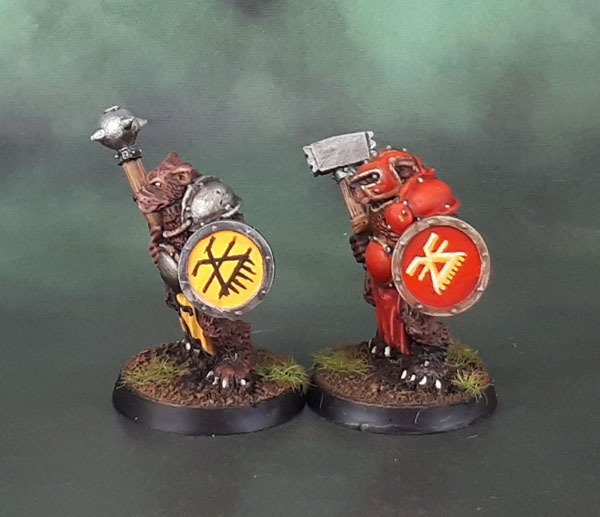 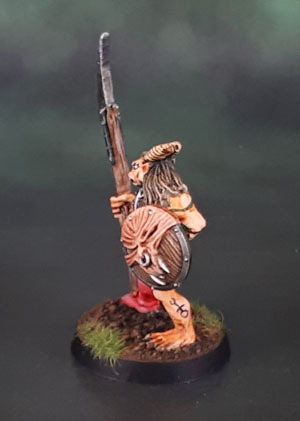 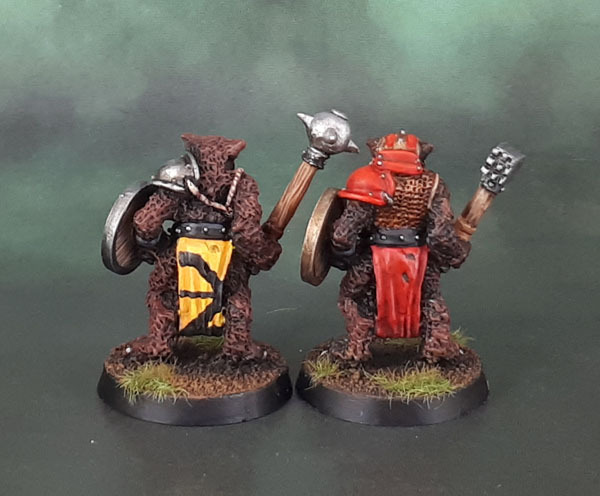 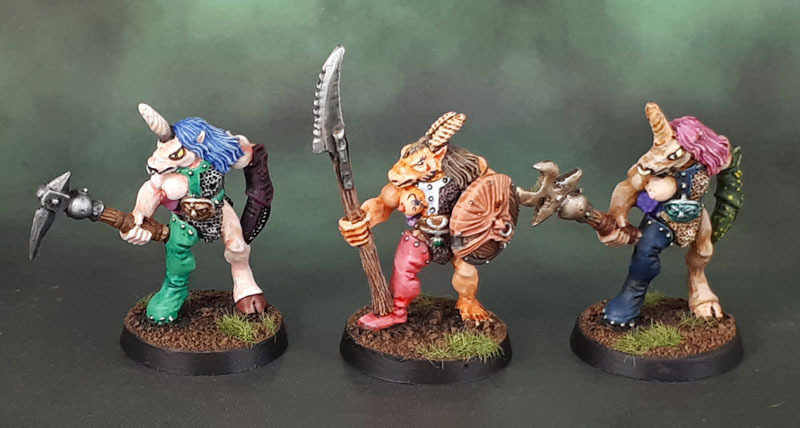 :And now for some more truly Oldhammer models. 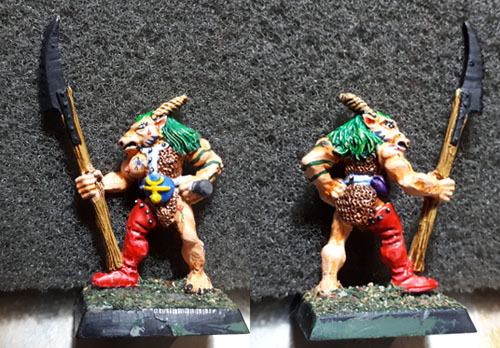 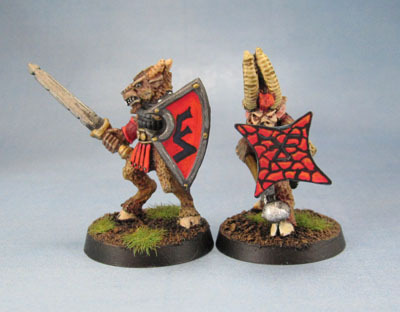 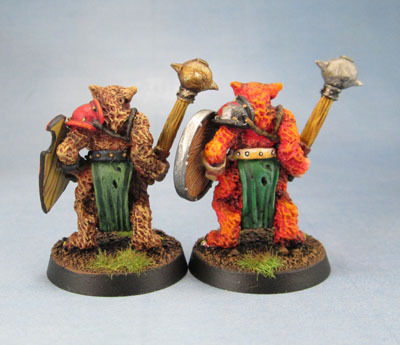 These Chaos Familiars date from 1986-88, and were sculpted by Jes Goodwin and Bob Naismith. 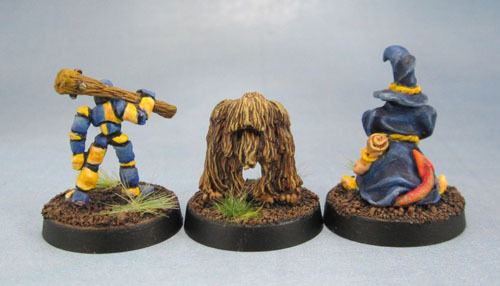 I believe the two on the outer are Goodwin sculpts, and the middle one could be by either. 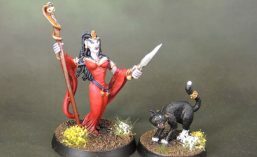 CH5 Chaos Familiars: Manequin (sic), Beastling and ..unnamed? 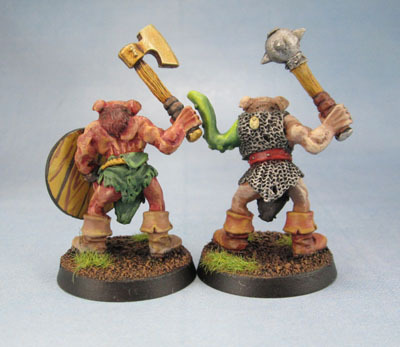 I painted these models a very long time ago. 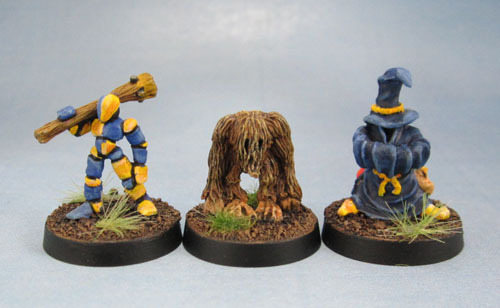 Sometime not too long after the Space Marine Paint Set was released, based on the robes the unnamed familiar is wearing. 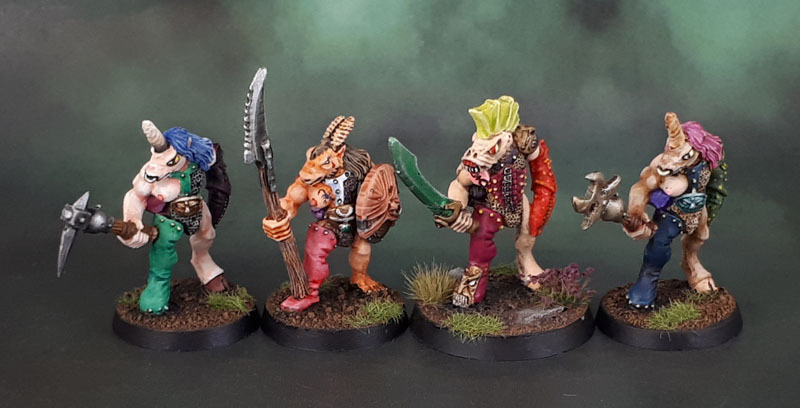 (Shades of the Watchers in the Dark!). 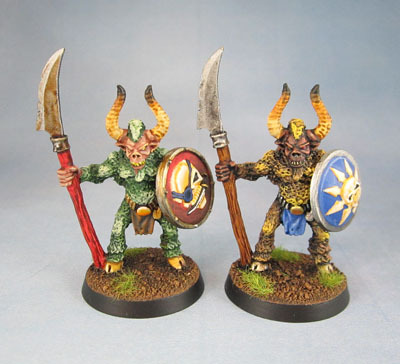 I painted two of them with Tzeentch in mind – being the most magically-oriented of the Chaos Powers, and a nice chance to paint something different to my usual Khorne’ dominated stuff. 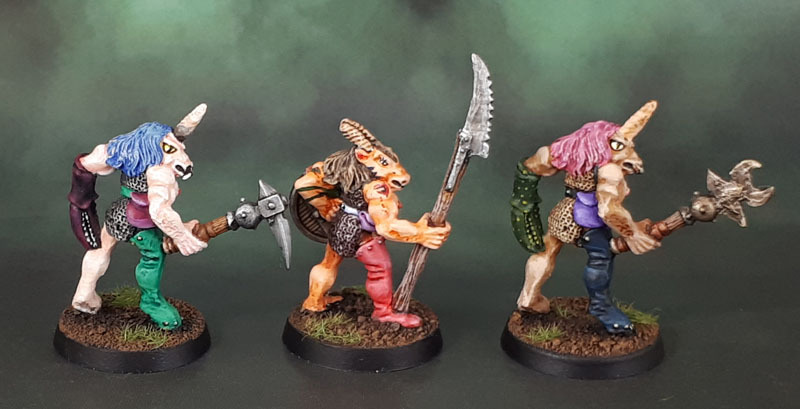 I’m still very happy with how they came out, especially the duo-tone on Manequin. 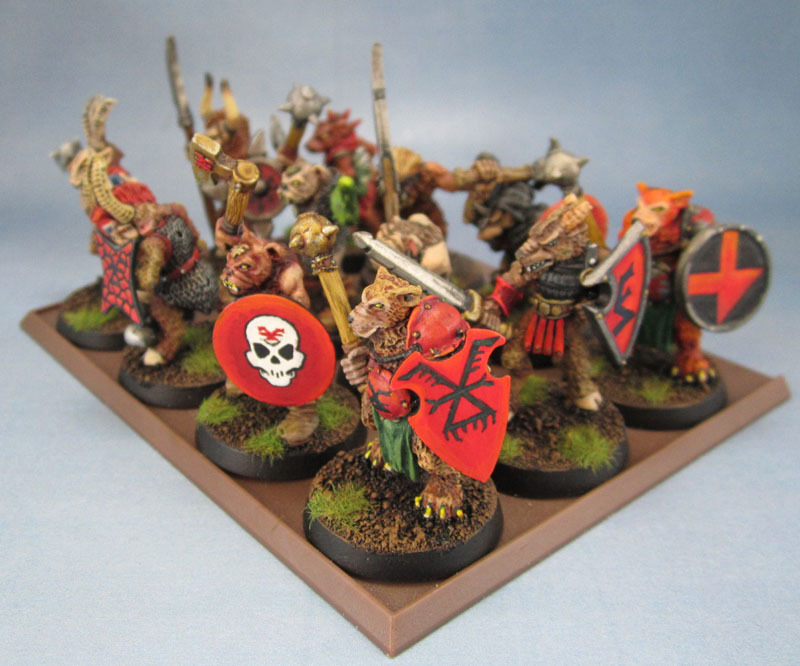 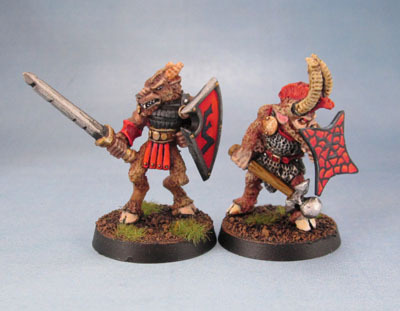 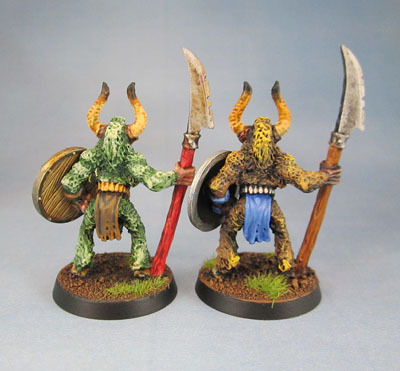 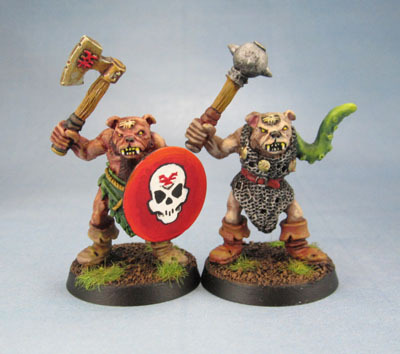 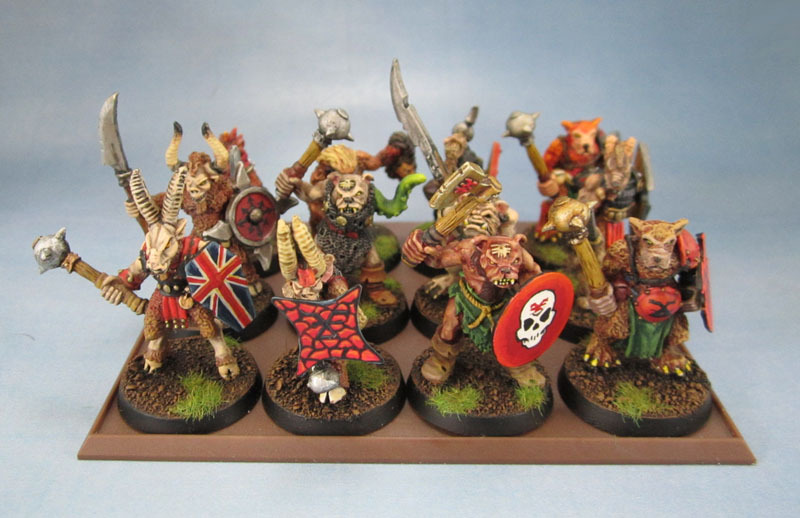 All they needed recently was a tiny touch-up and rebasing onto more modern bases. 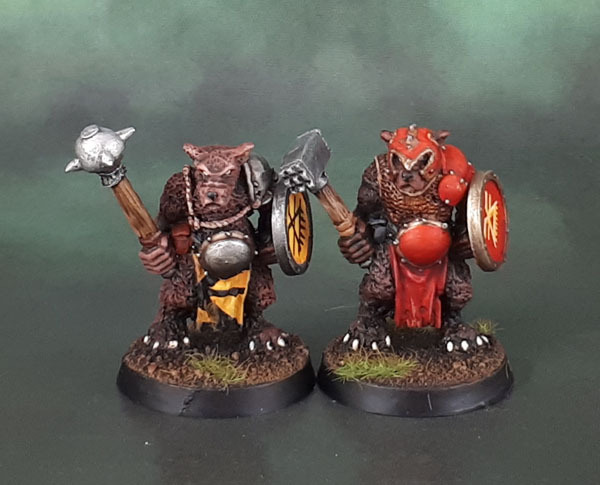 If you think they look a little big for familiars, it’s because I’ve used 20mm round bases that I got with some of my Red Box Games minis. 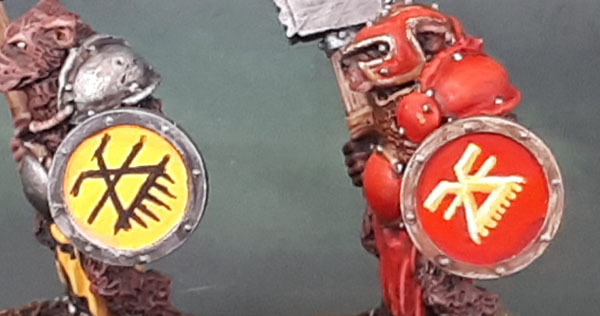 Our final image provides a better sense of scale, provided by a friendly passing Oldhammer Champion of Nurgle. 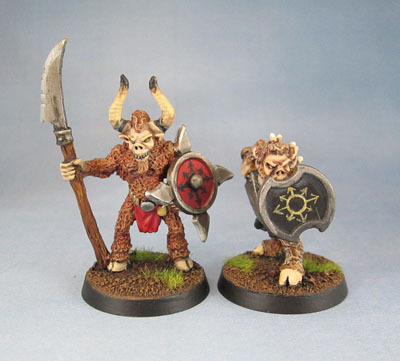 These guys are small! 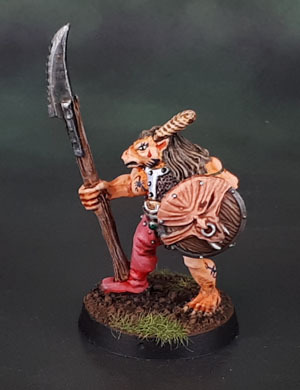 Smaller than a goblin. 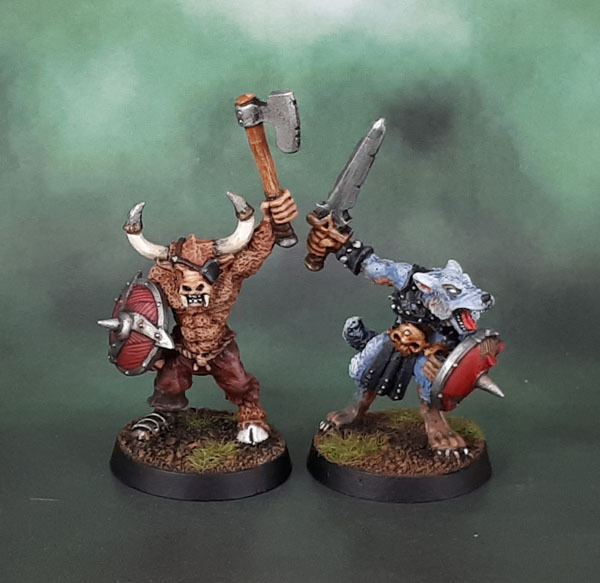 Like Snotling sized. 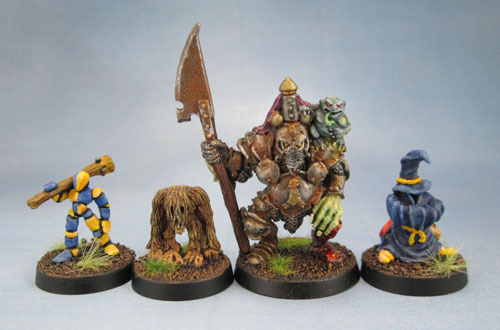 And in a surprising bit of awesomeness, I recently found that most of these figures are still available from Games Workshop even today, as part of the limited range of Direct-only metals that they still stock. 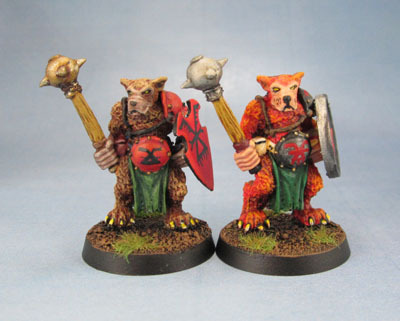 Even more amazingly, they’re available for a reasonable price. 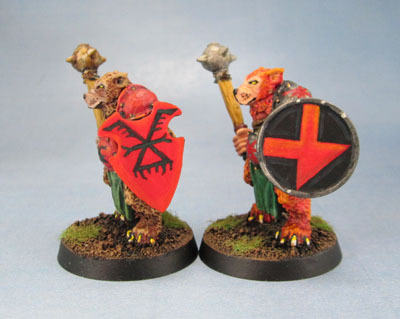 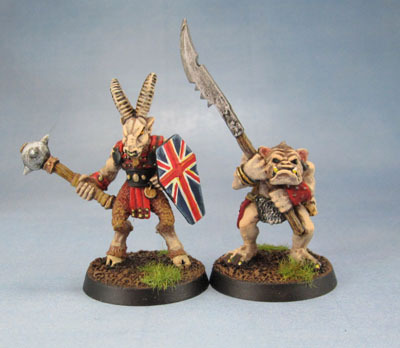 If you’re someone who likes these cool old models, I’d change the flag on the GW website to your own one, and get them while you can! 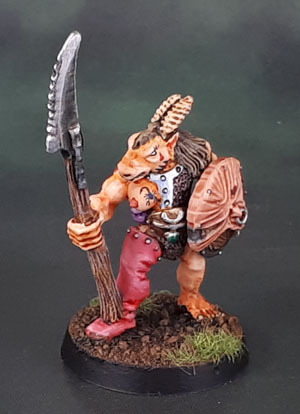 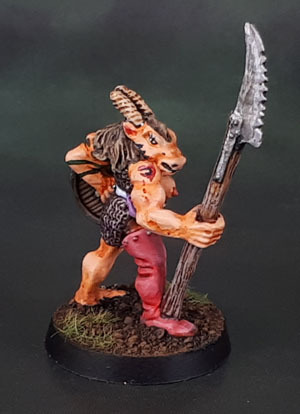 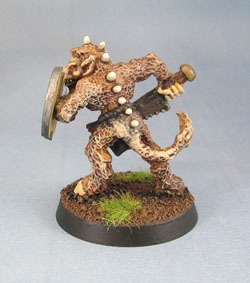 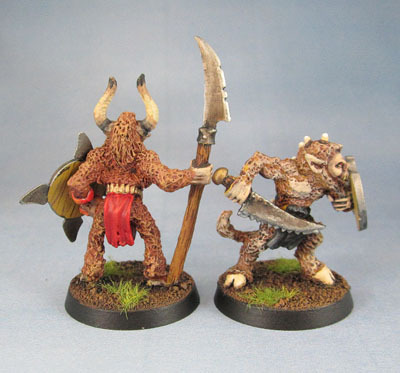 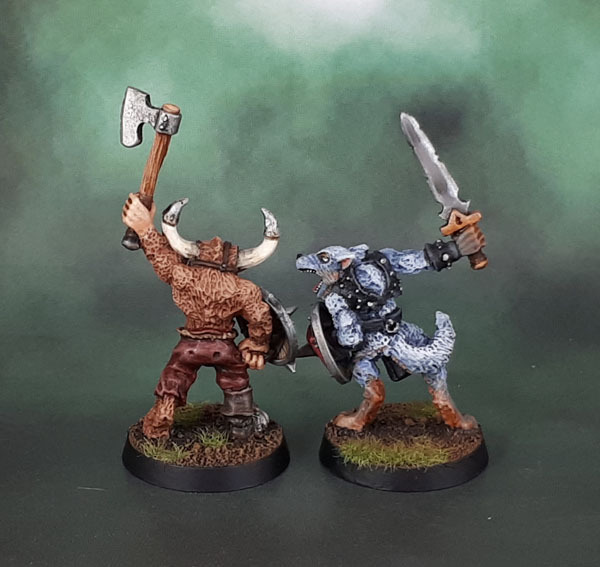 If you’re into familiars like this, Heresy also makes some cool familiars that fit with the same old-school Warhammer vibe, and Andy could probably use your cash a little more than Kirby… I’ll be buying that pack as soon as I can get some spare dosh together.